My experience as an English teacher will help you learn how to read more efficiently. I can teach this class in either French or English. Mikayla delivers an exceptional lesson experience and ranks in the top 15% of our teachers nationwide. My name is Mikayla and I cannot wait to meet and teach you my favorite language and life's passion. I have been speaking French for half my life now and I have loved it since day one. I earned my Bachelors in French and Francophone Studies with a minor in European History from San Diego State University in 2014, lived and worked as and English and French teacher in Nîmes (south of France) and I now live in Lyon where I just completed my Masters-FLES (teaching French as a second and foreign language). I tailor my lessons to fit my students. I look at your level, background, age and goals to find the best course of action for us to take. We work on grammar and vocabulary of course, but also phonetics and French and Francophone culture ! I like to keep my lessons fun and interactive and I pull resources from many different places. Currently the books I'm using for instruction are: Latitudes, Adomania, Alter Ego, Tex's French Grammar, Liberté, and SuperMax. I also use many online exercises, songs, videos, and articles to supplement for listening and reading exercises. Because I live in France, it may appear that my availability isn't all that great -- please note that I am very flexible and I am certain that we can find a time that works for both of us. If this is the case please contact me with times you were hoping to do. Don't hesitate with any questions ! I work as a business English and French teacher. I also create video content for the company and I write grammar videos as well as listening comprehension videos. Private English and French lessons in Nimes and Lyon, France. I teach at l'Université de Lyon 2 in their language center as an English teacher. I also teach in the faculté LEA (langues étrangères appliquées) as an English professor. Internship at a private French language school in Nîmes, France. Teaching beginning and intermediate French classes as well as phonetics. Goal is to help non-native speakers integrate into French society with a sufficient level of French to be able to find work or be comfortable with communicating in France (FLI - Français langue d'integration). Taught English classes to French students in elementary schools in Nîmes, France. Teaching assistant to EUROP 101 Introduction to European History. Diploma awarded by the French Ministry of Education to prove French language skills to non French candidates. Levels based off of the Council of Europe' s Common European Framework of Reference for Languages (CEFRL). C1 equates to advanced proficiency with only one level above C2 which shows complete mastery and fluency. The Phi Beta Kappa Society celebrates and advocates excellence in the liberal arts and sciences. Its campus chapters invite for induction the most outstanding arts and sciences students at America’s leading colleges and universities. The Society sponsors activities to advance these studies — the humanities, the social sciences, and the natural sciences — in higher education and in society at large. 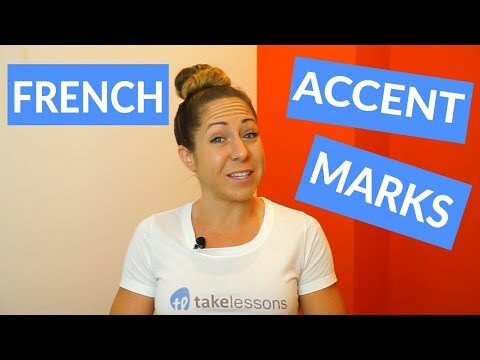 A video I recorded for Takelessons where I talk about how to improve your French accent. My student Katherine visited me on her trip to France ! My student Brittany visiting me in Lyon ! My student Katlyn and I met up in Paris for dinner ! My student Joe and I met up in Geneva, Switzerland ! My student Jack and I meeting up in Paris ! My student Stephen visiting me in Lyon during his trip to France! Mikayla is great at breaking down difficult information so that it is easier to comprehend. She walks you through things step-by-step until you feel comfortable. I feel that my lessons are tailored to my learning goals. Mikayla is very friendly and extremely knowledgeable. I always look forward to my classes and feel excited to learn! I am very grateful to Mikayla for instructing me on learning French. I am a beginner and am feeling more confident with each lesson, being able to go at my own pace is great especially since I have 2 kids and am very busy with them and their activities. The one on one interaction online is perfect for me so I can be in the comfort of my own home. l had a great time. do you still want to do it during the week. if it is to late for you that is fin. I loved the lesson and I love the word bonsoir! The lesson was amazing, it was the best experience ever in my life! Thanks for a great day, Mikayla. Can't wait for next week. My lesson with Mikayla went really well. I enjoyed the lesson and can't wait for the next one!! My first lesson with Mikayla was great. She is very easy going and nice to talk to. Introduction was superb, and we went over something that will help me throughout my learning. Super patient and flexible! She worked with all four of my kids aged 4-10, was fun, enthusiastic, flexible, patient. She really did a wonderful job of getting everyone to participate and learn some French in a challenging environment. I really enjoyed my first class with Mikayla. She is great and very patient and positive. I am looking forward to have more class with her in the future. Avery loves Mikayla! She feels comfortable and not afraid to attempt speaking a new language. Although she is shy, Mikayla makes her feel like it is a safe environment to learn. Has given me confidence to keep persevering and very happy that the lessons will be tailored to my goals and needs. It has been a great experience for me. She is a very good tutor and it has been reflected in my improvement in French grades and understanding. Mikayla est magnifique! My children ages 7 and 9 have been taking online lessons from Mikayla for over a year now, and they have made tremendous progress. At first, I was a little nervous about the online format, but they quickly grew to love her and await their virtual lessons eagerly as though they were in person. My children are very exuberant and not always the most cooperative, but she has the patience of a saint and cheerfully though steadily pushes them to learn. I'm amazed at what they've absorbed, and they take great pride in what they've learned. When we travelled to Canada they loved deciphering signs (everything is bilingual) and trying out some simple conversation in French whenever the opportunity arose. They're always on the lookout for French so they can show what they know. I'm especially impressed at their pronunciation. 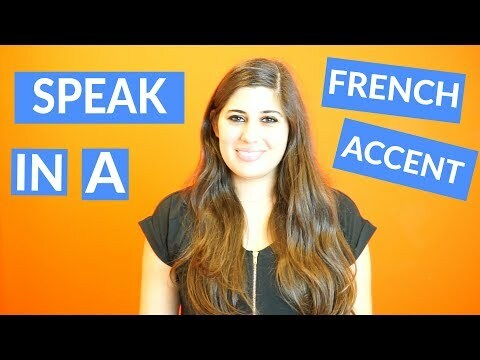 Those sounds are not easy for non-native speaker, but over the past year they're saying words and phrases in a way that suggests much more interaction with French-speakers than they actually have. Their pronunciation surpasses even what they were able to do with their previous in-person TakeLessons teacher, who was a native speaker. When that teacher left for an engineering job, the only option with TakeLessons seemed to be online, and I pored over the profiles for months before settling on Mikayla. Though she is not a native speaker, she is living in France and studying to teach French as a foreign language. I suspected that her pedagogical training would help my children learn French more systematically and academically, and I was right. French is not an easy language to speak, read, or write, and at times they've grumbled from the mental strain. (They're now also studying Latin, which is a breeze since they recognize so many of the words from French.) Still, they cannot bear to leave their lessons with Mikayla. They love and look forward to them every week. She almost seems part of the family! Merci beaucoup, Mikayla! As always, my lesson was great! Mikayla made our first lesson easy and fun - the hour just flew by! She is very knowledgeable about local customs/expectations, and that's just the type of guidance we are looking for to be ready for our trip to France. Her lesson plans are well organized, and having the power point (with her hand-written notes) emailed to us is so helpful for studying between lessons. Best teacher ever! So friendly and willing to take it at any speed you need. We had a great first lesson. Mikayla is great and I can't wait to continue the lessons. Enjoyed meeting Makayla. We had a great "first" lesson. Mikayla is an absolutely amazing teacher!! I enrolled my 10 year old daughter in Take Lessons during the summer of 2016 to prepare her for a new private school atmosphere. Honestly, I was hesitant, this was her first time being exposed to a second language. I'm happy to say, Mikayla helped her rise to the occassion! She is not only excelling in her class but she is speaking French fluently and confidently volunteering for roles in various plays at her school. She is currently one of the top students in her class and is always eager to share her week with Mikayla to be challenged with new goals. We will continue our journey with Mikayla as long as my daughter continues to master the love and language of the French Culture. We highly recommend taking lessons with Mikayla!!! Mikayla is wonderful and I'm really enjoying our lessons! She makes learning French fun and easy to understand and follow along. I'm excited to continue working with her to learn the French language! Great teacher with wonderful patience for this struggling beginner student! Our first lesson was awesome! Mikayla listened, guided, and I feel is preparing to take me to the next level. Can't wait for our next lesson. Mikayla is a great teacher. She has helped an old hard headed person like myself to improve the grammar and spelling in my work emails. In all of my life I never thought grammar would be fun but somehow she made it fun even for me. With every class, I gain confidence in my writing and spelling skills. Before starting my lessons with her, I tried to keep my work emails to one sentence statements, and would respond to most emails and text-messages with a phone call. Not anymore, I do not have any fears of replying to emails with a long detailed statement. If Mikayla can help an old slow person like myself, imagine what she could do for you or your child. This is our fourth week with Mikayla. As a mom, I can already tell a difference in my son's ability to make english to French connection. His confidence is up supremely in class and most importantly, he seems to be enjoying learning the language more. Working with Mikayla is something my son looks forward to weekly. Incorporating lessons with her has greatly improved my son's success in French class. I only wish we had incorporated lessons with her sooner. Extremely satisfied!! I have been taking French lessons with Mikayla for the past 10 months. She has been an excellent teacher and has tailored her lessons perfectly to fit my speed of learning and specific interests. Her lessons are clear, fun, and challenging. She is very personable and friendly, but won't hesitate to correct you on a missed liaison or forgotten conjugation. I've been living in Paris for the past 6 months and and have had my pronunciation complimented many times as a result. In addition to learning the language, she has helped me understand French culture and mannerisms to help ease the transition into a new country. I would highly recommend Mikayla as a teacher to anyone and look forward to my continued lessons with her in the future. First lesson and already feeling Confident!! Totally recommend Mikayla! Great personality!!! Great teacher! She is very patient and understanding. Mikayla is fabulous! Very respectful and sensitive to student's needs.I recommend her without qualification. 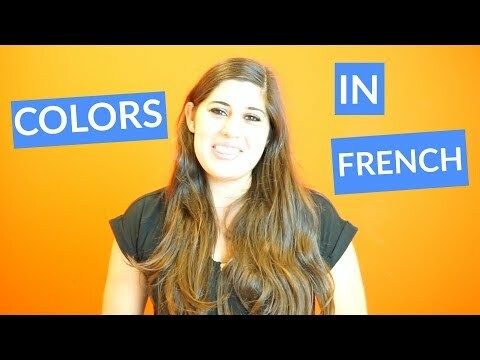 Great lesson - it's really great to learn French from someone that actually lives in France. I look forward to more lessons with Mikayla. Awesome first class for my 7 year old. Looking forward to the next! Mikayla is great! I really wanted someone to help me figure out a path to learn French, but also that one-on-one help to correct my pronunciation along the way. She is super nice and really patient and makes it so that it's not intimidating to try to speak French, or to make mistakes. She's awesome! I'm a fourth grader (almost fifth) and am taking French soon. Today was my first day and I've already learned so much! I highly recommend Mikayla for a French tutor! Excellent, affable and patient teacher. It is helpful to receive the homework with more lead time before the class. She is patient and personable. I look forward to next week's lesson! Great first lesson! My daughter is excited to learn more. Mikayla does a great job of helping with my pronunciation and some of the cultural customs I will need on my visit. She makes the class a great deal of fun! I have now finished my 10th lesson with Mikayla. I could not be more pleased. After many previous failed attempts to learn French, I am really starting to get it! Mikayla is a wonderful communicator. Her lessons are made to my needs, and well organized. Her personality can be explained as enthusiastic and charming. Before and after each lesson with her I find myself excited and encouraged. and I am anxious for my next lesson. Mikayla is so patient with my 6 year old son. We really enjoy his lessons! Lessons with Mikayla have been exactly what I was looking for! She's punctual, easy to communicate with, friendly and tailors the lessons to your particular level - even adjusting during the lesson if she sees that you are ready to move forward faster than her original plan. If you're looking for a French instructor I would highly recommend her. Mikayla and I paired up to have our students write pen pal letters to each other. Mikayla's students were French children learning English and my students were American with no representation of the French language in the classroom. Mikayla crafted lessons which encorporated videos she made herself which made the French language accessible to my students. She was engaging and enthusiastic. My students were confidant and proud of the work they completed and looked forward to our letters arriving. The English written by French students wad impeccable and I am certain this can be credited to Mikayla's diligence and passion for teaching. Mikayla has the qualities one is looking for in an instructor. She learns what your learning style is and learning goals. Mikayla is very fun! Her mastery of the French language is excellent! The lessons are very stress-free. I highly recommend her! I had my firts lesson and loved it, Mikayla is very nice and patient... Im excited for my next lessons and have homework and practice to do! I’m French and have had English lessons for 6 months. Mikayla is such an enthusiastic teacher ! She’s passionate about teaching and deeply involved in what she’s doing. Talking to her feels so natural. She knows how to make students feel confident and she’s really comfortable to be around. Beautiful memories, beautiful teaching. Never had I improved my English that way just within a few months. I am so grateful to her and so disappointed that it didn’t last longer. I highly recommend her as a teacher. Best regards. Oh my goodness, I can only say Mikayla is just perfect. She is so kind, so sweet, so lovely to listen to her speak French, totally looks the part of a Parisian model, and consistently puts a smile upon my daughter’s face. Seriously, what else could you want? We are so happy we found her! Mikayla is an excellent French teacher. She is patient, knowledgeable, and is enthusiastic about teaching.